This neighborhood park, which is directly on the Halifax River, offers a fishing pier, playground, restroom, picnic tables and spots to view wildlife. The Port Orange/South Daytona Chamber of Commerce is on the site as well. Park outside in Front of building. Our team will meet you inside the store. Park outside of the building. Meet at Butterfly Kisses for Strides 360 class at 9AM. Parking will be around the building or at The NSB Utilities Commission Building so plan to get there a little early.. 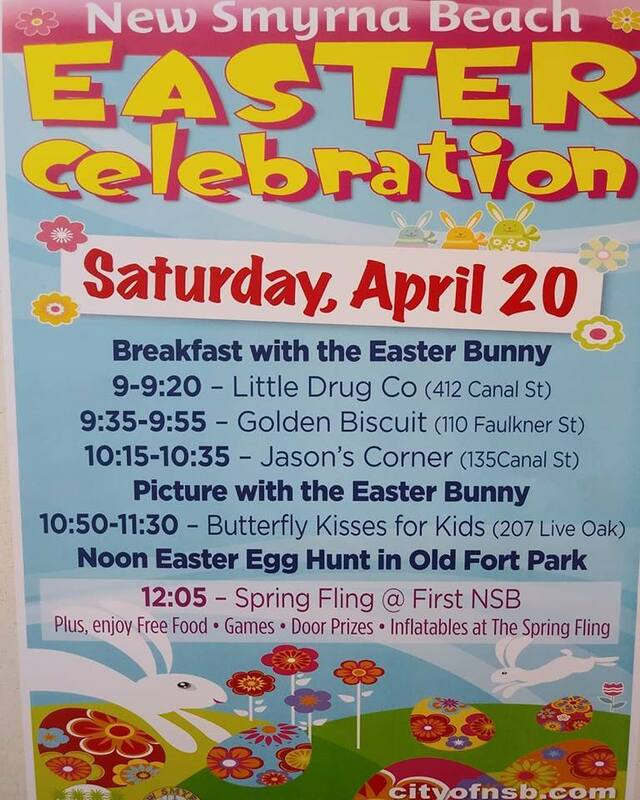 Following will meet The Easter Bunny at 10:40!! Get fun pics with him, Meet fireman &policeman, fun activities, cake walk, door prizes and refreshment. All complements of Butterfly Kisses! !